What is an AR-15 Dissipator? What the heck is an AR-15 Dissipator? We’ll go over what makes an AR-15 dissipator, its pros/cons, and whether the design is still useful in this day and age. A “dissipator” or “dissy” is an AR-15 with a 16″ barrel but with rifle length front sight post. There’s some controversy about who invented what, but they can first be seen in Vietnam era photos. Original designs were created simply by cutting down existing 20″ rifles down to 16″. However, this led to reliability issues due to changes in the overall timing of the rifle. Cutting down the extra four inches reduced the “dwell time” which is the amount of time the weapon maintains pressure so it can cycle. You can think of it as the amount of time the bullet stays in the barrel after it passes the gas port. In the dissipator barrel below, there’s almost no length left for the bullet after it passes the gas port which made the weapon unreliable. 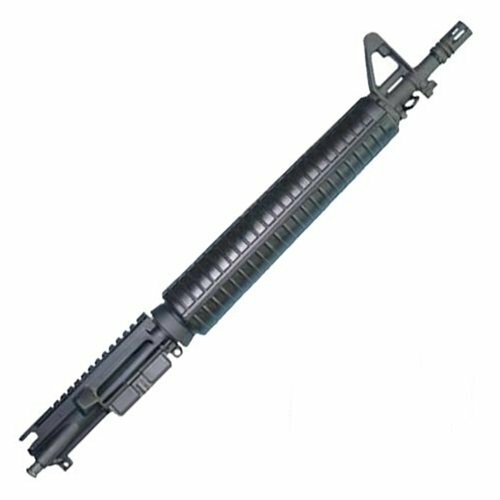 Bushmaster came out with the first civilian AR-15’s actually called the Dissipator which had shaved-down gas blocks at the normal carbine length and then a “dummy” A2 sight block up in front at the rifle position. They are still available and now dressed up to meet current trends of Magpul MOE furniture. PSA also offers their mock version of the dissipator with a mid-length gas system. However, there are still some “real” dissipators out there with enlarged gas ports and just one real front sight/gas block at the rifle position that have since solved the reliability issues. Del-Ton ($430 upper) is the one that stands out. We’ve already gone through the major pros with shorter barrels and a longer sight radius. Some other advantages include a longer handguard which allows a more forward hand placement, protection from a hot barrel, and more space to accessorize. And lastly, they bring an old-school kind of cool that resembles a short-barreled rifle (SBR) from far away. Some of the cons include reliability and weight. While reliability has mostly been fixed with gas blocks at carbine or mid-length positions, this adds additional weight from “dummy” gas blocks/sights at the front and longer handguards. But, “real” dissipators with just one gas block at the rifle position also have fixed the weight issue with enlarged gas ports. Is the Dissipator Still Useful? With today’s free floating gas tubes and shift toward optics, does the dissipator still have a place? Our answer is if you are ONLY going with iron sights. 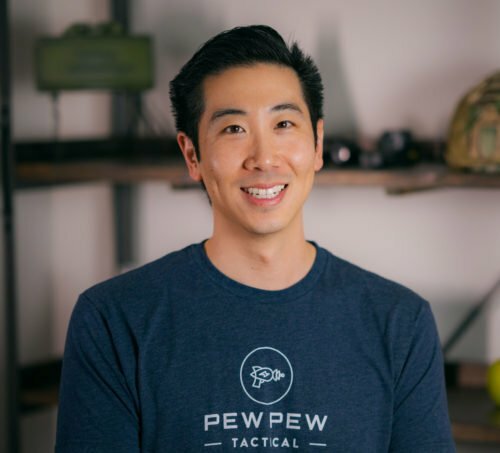 Otherwise, there’s too many other options to get the same advantages of a shorter barrel and more accurate sights with reliable red dot and holographic sights. meh, just get a mid length, better of both worlds. fyi: Bushmaster was producing their Dissipator model BEFORE the 94′ AWB and using their own marked standard weight 1/9 twist barrels ( not Colt HBAR) in the process. Thanks for the insight Rick! I also disagree for the same reason. 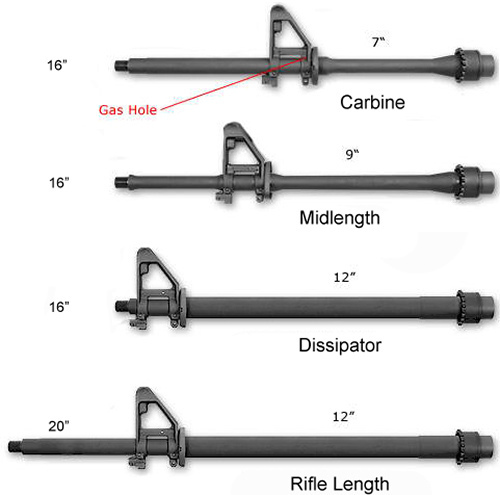 The rifle gas system on a shorter barrel produces a vastly different much more light and smooth recoil impulse that leads to a gun which is more controllable under rapid fire. I’ve heard of some 3 gun guys running similar setups where lighter recoil and quick transitions are necessary, however they’re guns are usually highly tuned. I personally run a dissy and it is in my opinion I like it much better than a carbine gas system. Thanks for your comment, love that readers can see other viewpoints! Sounds like a side-by-side comparison of the recoil impulse is on my to-do list. I’d be more than happy to share my dissy experience thus far. They’re great guns and we’ll worth the time and effort that some take to get running reliably. I disagree, the longer gas system provides a smoother running/lower recoil impulse. It is desirable to some shooters.